A 38 year-old professional fisherman presents to your emergency department after returning to shore from a 3 week trip. Over the past week he has had progressively worsening left eye symptoms and is now feeling quite unwell. He has been having fevers, has a constant headache and his left eye has become swollen. He reports a history of double vision but now he has trouble seeing anything out of his left eye. Any movement of the eye causes significant pain. Q2. What features should be assessed when taking the history? Symptoms — red eye, pain, blurred vision, double vision, eyelid swelling, nasal congestion, sinus headache/ pressure, tooth pain, periorbital pain or hypesthesia. Q3. 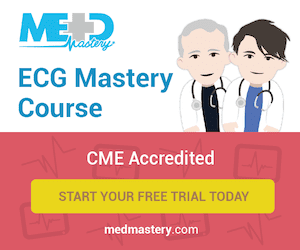 What features should be looked for on examination? Extraocular eye movements: restricted ocular motility with pain on attempted eye movement. Fundoscopy: retinal venous congestion and optic disc edema in severe cases. General exam: Fever; and in severe and progressive disease altered mental state and meningism may occur. Look for evidence of an underlying cause or predisposition (see Q2). Q4. What causative organisms are usually responsible for this condition in the different settings in which it can occur? Immunocompromised or diabetes mellitus: consider fungi, e.g. mucormycosis/zygomycosis, aspergillosis. Q5. What investigations are required when considering this diagnosis? Laboratory: FBC, blood cultures, wound swabs, consider the need for lumbar puncture. Q6. What is the appropriate management? AND flucloxacillin 2 g (child: 50 mg/kg up to 2 g) IV, 6-hourly. amoxycillin+clavulanate 875+125 mg (child: 22.5+3.2 mg/kg up to 875+125 mg) orally, 12-hourly to complete a total of 14 days antibiotics. Further anaerobic cover may be required (e.g. metronidazole), for instance, if a dental cause is suspected. If MRSA is suspected consult an infectious disease specialist and consider treatment with vancomycin. Nasal decongestant spray as needed for up to 3 days. Erythromycin ointment qid — for corneal exposure and chemosis if there is severe proptosis. canthotomy/cantholysis — may be required if the orbit is tight, optic neuropathy is present or the IOP is severely elevated. Q7. What is the likely diagnosis? Q8. 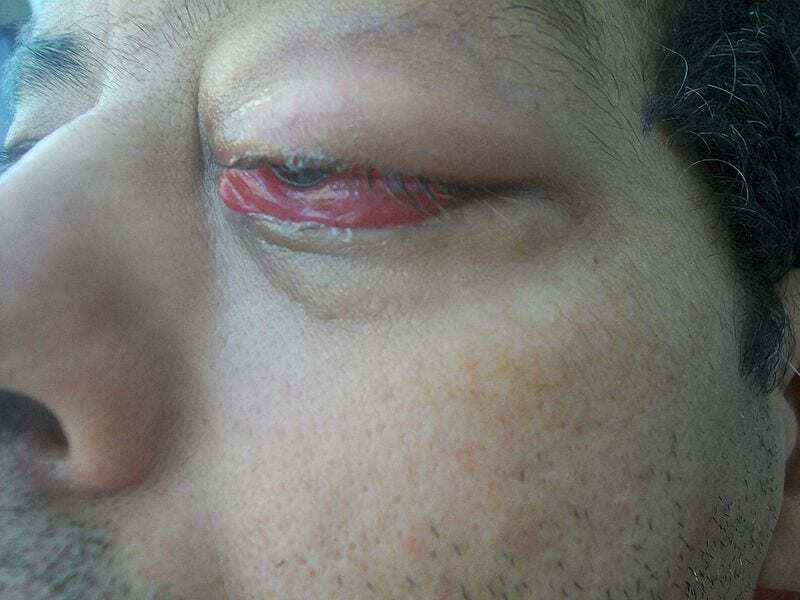 What are the clinical features of this condition, and how is it distinguished from the goggle-eyed fisherman’s diagnosis? Periorbital (or preseptal) cellulitis is a soft-tissue infection of the eyelids that does not extend past the orbital septum posteriorly. It causes eyelid and periorbital edema, redness, and discomfort. Sometimes the clinical distinction is unclear and imaging is necessary (e.g. CT orbits and sinuses). Q9. What organisms cause this condition in children <5 years of age? Q10. What is the antibiotic treatment of this condition? If systemically unwell it is best to treat and investigate for orbital cellulitis.